Study for the CompTIA 220-901, 220-902, Network+ N10-006, and Security+ SYO-401 exams. Is there a better alternative to CompTIA Exam Prep Super Bundle? 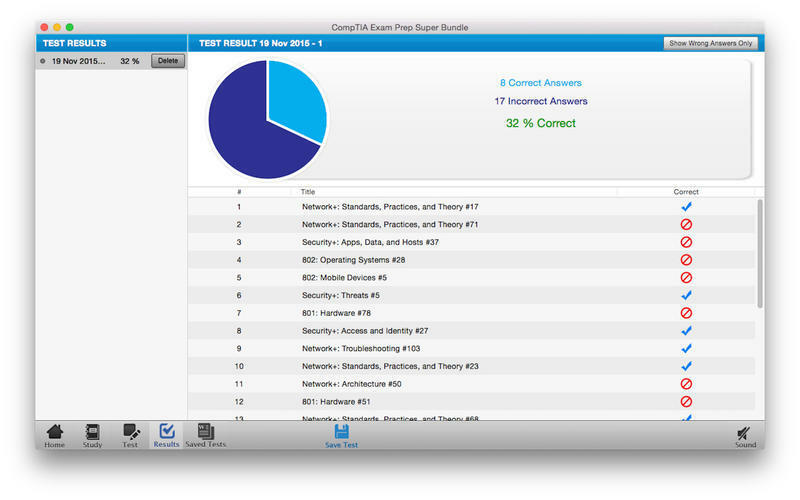 Is CompTIA Exam Prep Super Bundle really the best app in Teaching Tools category? 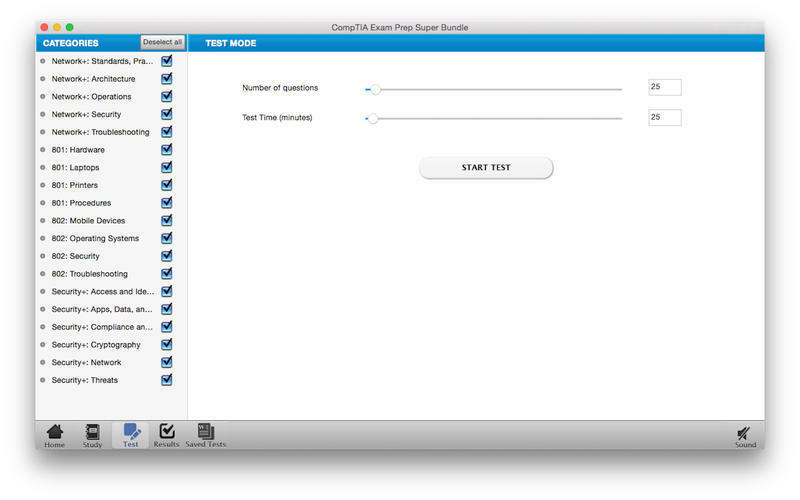 Will CompTIA Exam Prep Super Bundle work good on macOS 10.13.4? CompTIA Super Bundle comes with nearly 1500 review questions designed to help you study for the CompTIA 220-901, 220-902, Network+ N10-006, and Security+ SYO-401 exams. CompTIA Exam Prep Super Bundle needs a review. Be the first to review this app and get the discussion started! 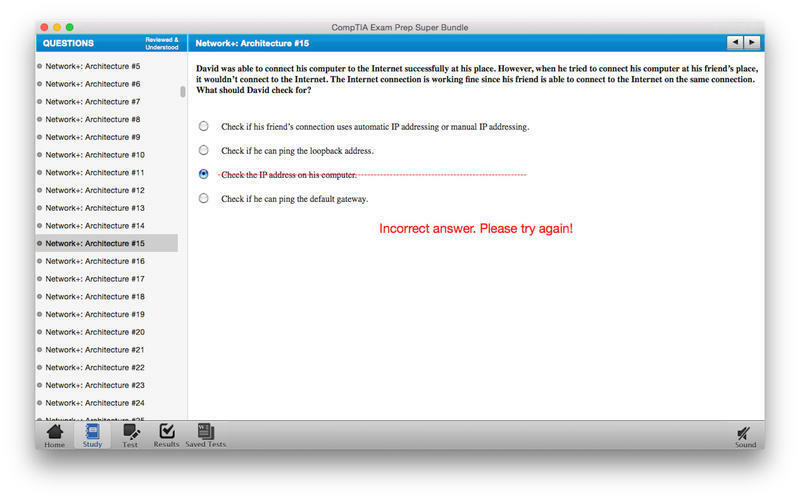 CompTIA Exam Prep Super Bundle needs a rating. Be the first to rate this app and get the discussion started!